After several days of exchanging knowledge at the EWTW, six of the hubs that operate worldwide have decided to enter into a closer form of cooperation. 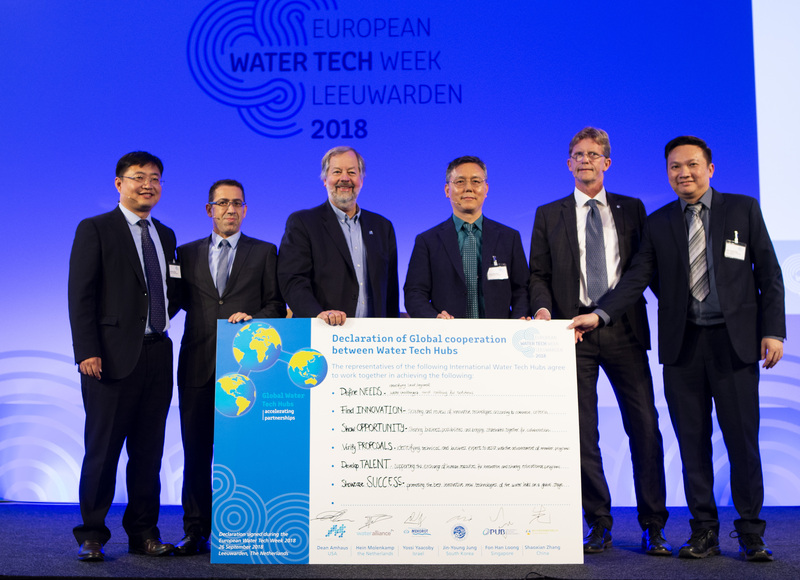 Hubs from China, Israel, the Netherlands, Singapore, South Korea and the United States of America signed a joint declaration in the WTC in Leeuwarden, signalling the intention to take their cooperation to a new level in the form of “The Water Tech Hub Alliance”. For a number of years, the representatives of the hubs have encountered one another at various levels and events, inspiring the world of water with the accounts of their hub’s activities. 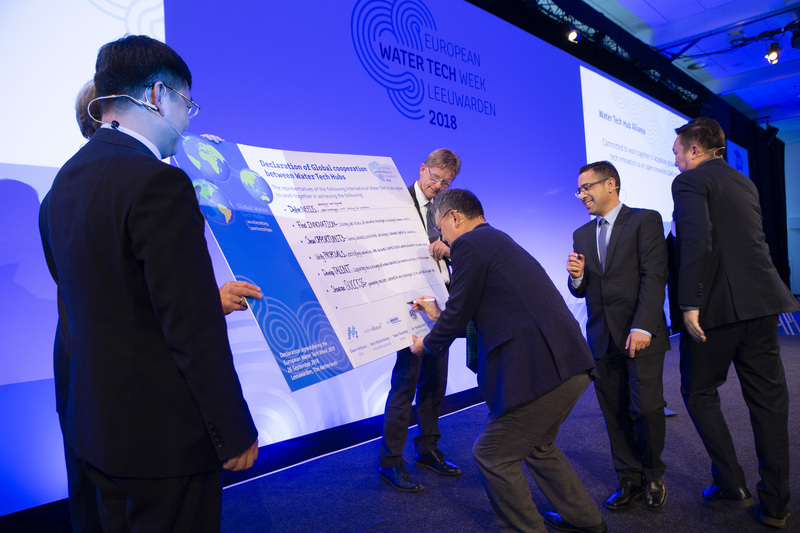 Representatives of these hubs had gathered at the invitation of Hein Molenkamp, Managing Director of Water Alliance, at the first European Water Tech Week organised by the Dutch water hub in Leeuwarden. 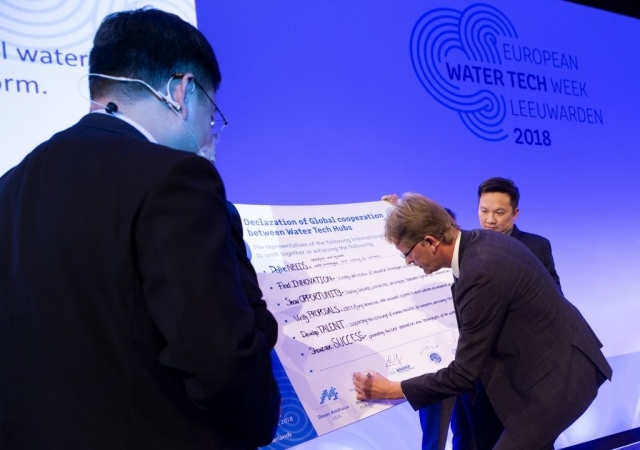 They agreed to commit to the global acceleration of innovative water treatment technologies as an open platform.